I’ve been having a lot of fun working on my latest Drew Farthering mystery. The books in this series always have a literary inspiration, and for this one I decided it had to be Brontë. Jane Eyre and Wuthering Heights both have that Gothic feeling personified by the Yorkshire moors. Where better to set a moody historical mystery, even if it doesn’t take itself too seriously? So what does this have to do with a spectral hound? Evidently, even though it’s set in Devon and not Yorkshire, a bit of Sir Arthur Conan Doyle’s The Hound of the Baskervilles has crept into the book, too. Since Halloween is coming up, I thought it would be fun to share some of the superstitions that have grown up over the centuries about a spectral hound on the lonely Yorkshire moor. There are many tales of large black dogs in the folk tales of the British Isles. These dogs almost always appear at night and are often said to be incarnations of the devil. If one were to appear, it was thought that death was sure to follow. Said to be much bigger than even the largest dogs, the spectral hound usually has large red or glowing eyes. It is frequently said to appear at crossroads or places of execution since gibbets and other public means of punishment were often set up at crossroads for the purpose of warning as many people as possible of the consequences of flouting the law. It’s hard to say how these tales first began, whether it was in the Celtic or Germanic portions of British culture, but all across Europe dogs have been associated with death, perhaps because they are scavengers. Black dogs are, in folklore, almost always considered to be evil and some are aggressively so. For my story, I wanted to find out more about the barghest of Yorkshire, though there are many variations of his type. Throughout Britain and in other parts of the world he’s called Black Shuck, Hairy Jack, Skriker, Padfoot, Churchyard Beast, Shug Monkey, Cu Sith, Galleytrot, Capelthwaite, Mauthe Doog, Hateful Thing, Swooning Shadow, Bogey Beast, Gytrash, Gurt Dog, Oude Rode Ogen, Tibicena and Dip. But barghest (or bargtjest, bo-guest, bargheist, bargeist, barguist, bargest or barguest) is the name most often used in northern England, particularly in Yorkshire, for the spectral black hound, enormous and demonic, with deadly teeth and claws. It might find its prey when travelers walk alone at night or lurk in lonely dales or wastelands. It might appear as a headless man or woman and vanish in flames, or as a white cat or rabbit or, of course, a fiery-eyed black dog. Then again, it might be entirely invisible, its presence known only by the rattle of chains in the night. The barghest was at times said to be the spirit of a murder victim haunting his killer. Was the hound searching for new victims or taking revenge on a murderer? Some believed that, when a person of importance died, the barghest would appear and lead all the dogs in the area in a sort of funeral march, howling and baying as they went. And sometimes it was said that if it were to lie across the threshold of a house one of the occupants would surely die. Once some unfortunate soul was pursued by this spectral hound, there appears to be no escape unless the victim could make his way across running water, which it was believed the barghest could not cross. Wherever the name and the legend came from, I found the story a perfect addition to the local tales Drew and Madeline hear when they go to investigate the mysterious happenings at a friend’s lonely Yorkshire manor house. Murder on the Moor is scheduled to release Fall 2016. Do you ever wonder what the basis was for an old legend and why some of them are still popular? 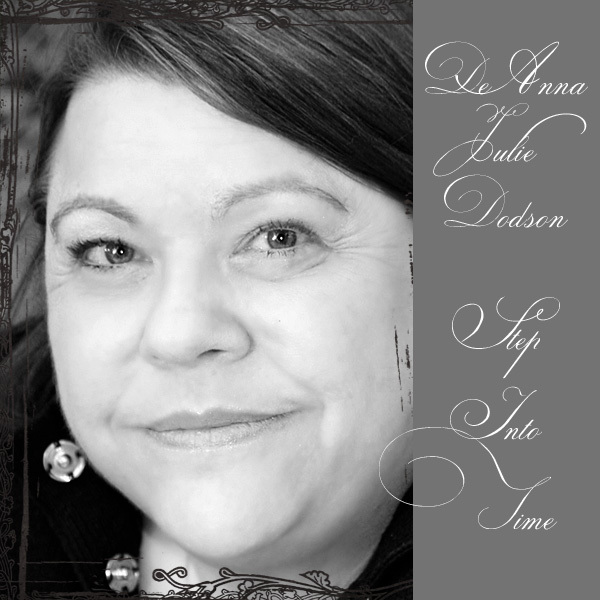 DeAnna Julie Dodson has always been an avid reader and a lover of storytelling, whether on the page, the screen or the stage. This, along with her keen interest in history and her Christian faith, shows in her tales of love, forgiveness and triumph over adversity. She is the author of In Honor Bound, By Love Redeemed and To Grace Surrendered, a trilogy of medieval romances, as well as Letters in the Attic, The Key in the Attic, The Diary in the Attic and The Legacy in the Attic, contemporary mysteries. Her new series of Drew Farthering Mysteries debuted in the Summer of 2013 with Rules of Murder, followed by Death by the Book and Murder at the Mikado in 2014 from Bethany House. Another Drew Farthering Mystery, Dressed for Death, is due out in Spring of 2016. A fifth-generation Texan, she makes her home north of Dallas with three spoiled cats. Interesting, DeAnna. I'm glad I read this in the daytime and not before bed! Wow. I've never thought of a dog as a scavenger. Yes, of course other canines are, but dogs seem so... domestic. Silly of me, eh. I guess anything will scavenge if it has to. I really need to set your Farthering books to the top of my Wish List. I've been wanting to read them since your first one came out, but alas, my book budget (and distraction by other books) has kept me from doing so. Must rectify. I love delving into the source of legends and "summer camp" stories. Thanks for all the info you've shared here. I need to get back to the Inkwell more often. Of late my home computer time has been lacking because of my five year old boy, and I've missed some excellent posts here. Gotta catch up. Oh, thanks, Deb! I hope you enjoy them if you get a chance to read any. Maybe your library has them or can request them? Ooh, fun post! Now I'm in a very creepy-story mood. I can't wait to hear more about the newest Drew mystery! Thanks, Susie! I'm having a lot of fun with this one.